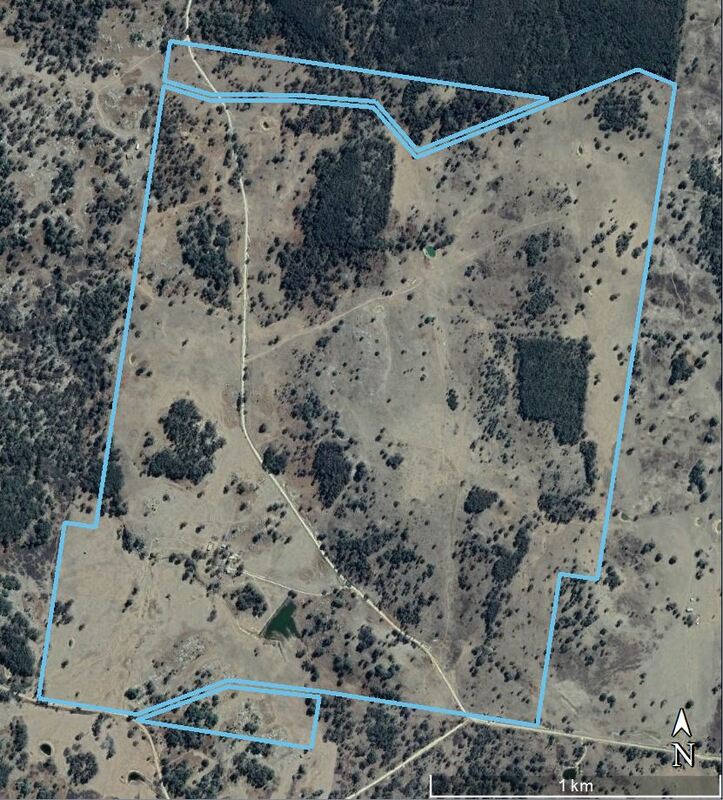 Colliers International in conjunction with the Australia Wool Network are pleased to offer"Munbulla" to the market, "Munbulla" is a 945 acres (382.6 hectares) property located to the west of Guyra, NSW. 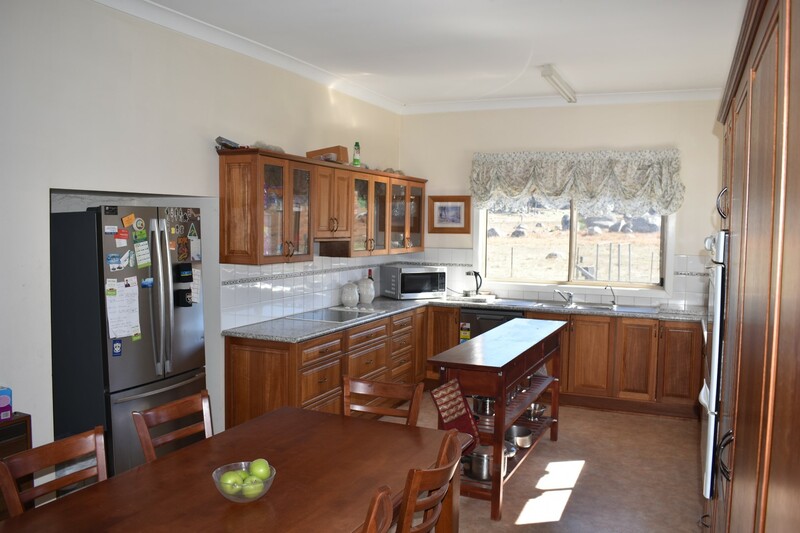 With reliable rainfall, moderate temperatures and quality granite to basalt soils, this property features an excellent supply of water with spring fed creeks, numerous dams throughout and a large catchment dam near the homestead. 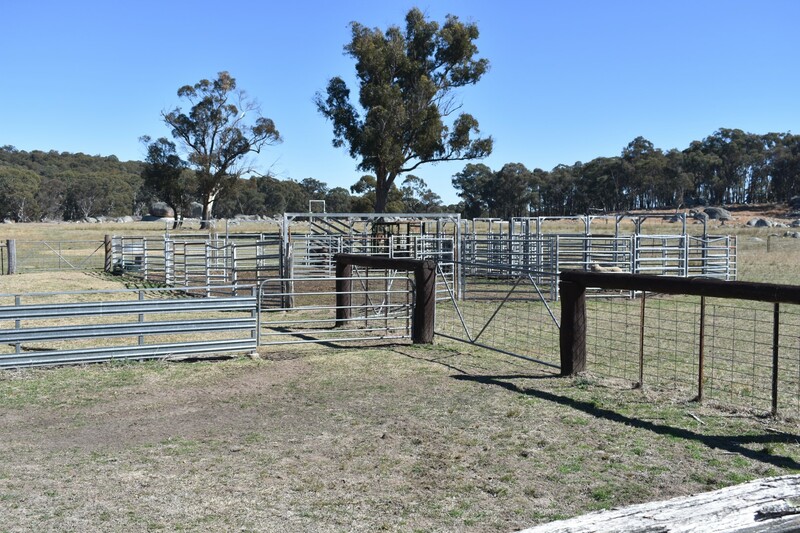 "Munbulla" provides a great opportunity for the new owner to walk into a well developed grazing operation with considerable production upside achievable. 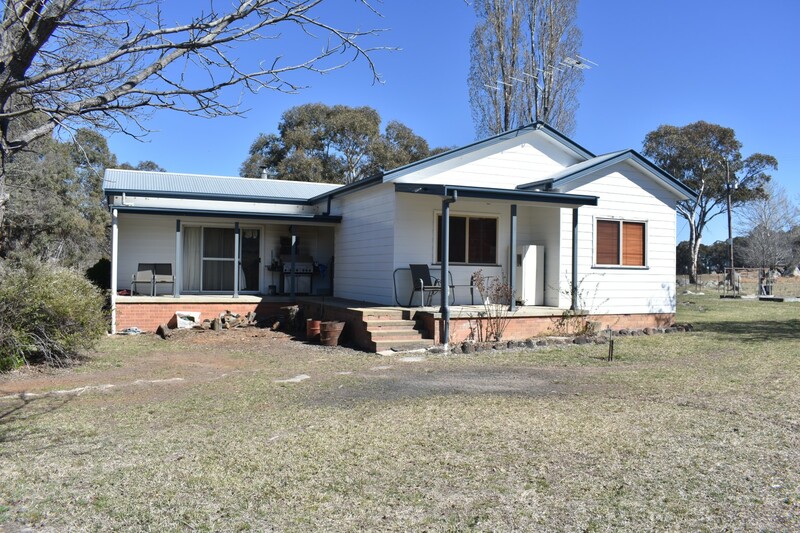 Location | Situated in New Valley to the west of Guyra, with good access on a well maintained road. 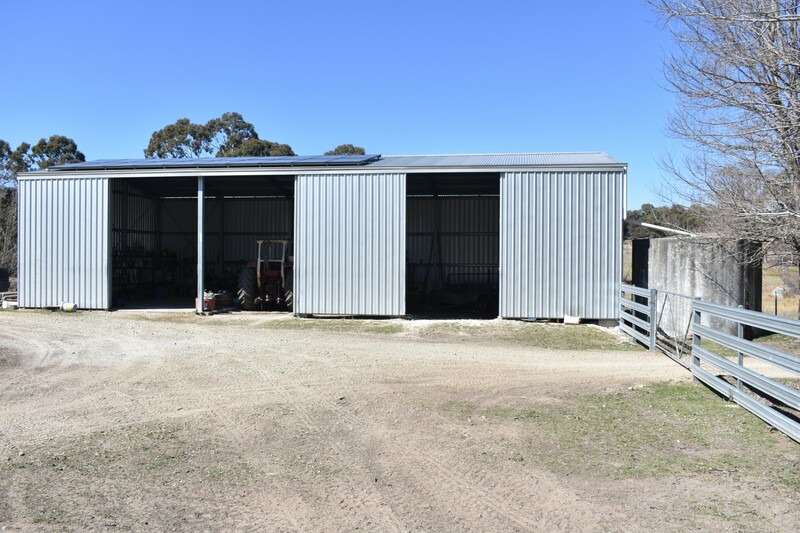 Quality Infrastructure | Comfortable main house with good quality Wool shed, machinery shed and stockyards. Potential Upside | Large gains to be achieved through the continued development of this property through pasture improvement, fertiliser and on going paddock clearing, there is considerable opportunity to increase livestock production at "Munbulla"
"Munbulla” is situated on Tenterden/Junction Road off Guyra Road, approximately 38 kilometres north-west of Guyra and approximately 53 kilometres south of Inverell. The property has mail delivered 3 times a week and a school bus to the front gate. Guyra is approximately 30 minutes drive from the regional city of Armidale, renowned for its secondary and tertiary educational facilities including The Armidale School, New England Girls School, PLC Armidale and The University of New England. The major regional centre of Tamworth is located approximately 1 hour 45 minutes to the south of Guyra. 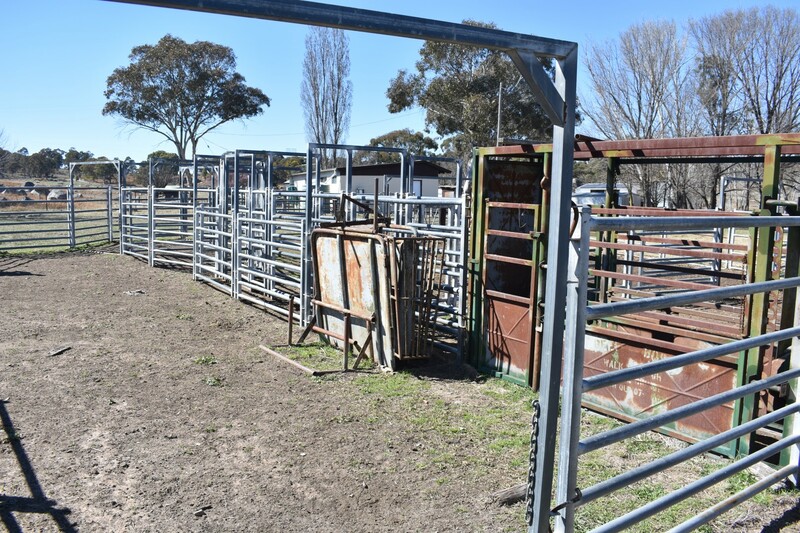 The closet sale yards are located at Guyra and Armidale. Commercial flights service Armidale and Tamworth daily with both airports approximately 1 hour flight from both Sydney and Brisbane. There is also rail services from Armidale. 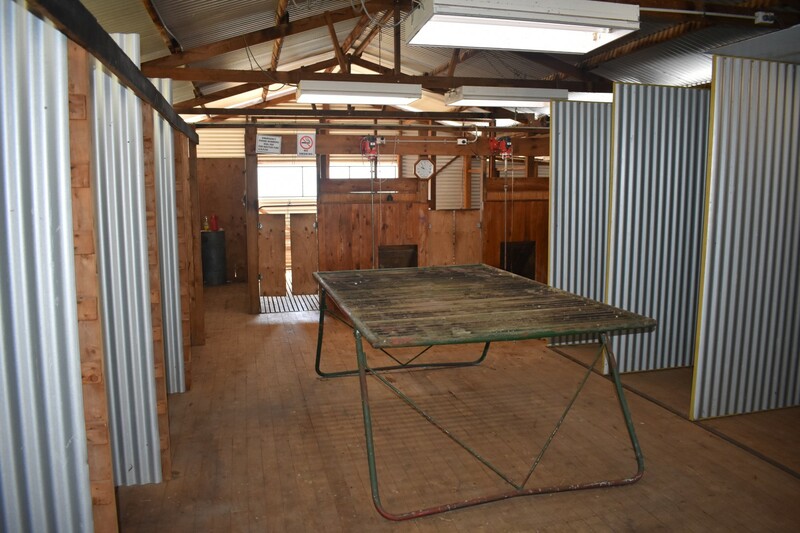 "Munbulla" is a mixed enterprise sheep and cattle property located 38 kilometres from Guyra. The information on paddock areas is based on owner information and google earth imagery and as such, with the gazetted roads which add to the effective area under management, a discrepancy is possible. The areas on the maps are estimates only and not based on formal surveys. 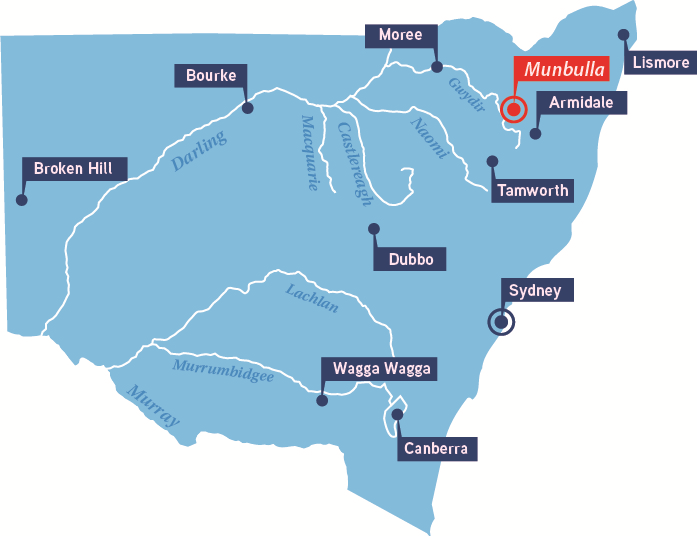 “Munbulla” ranges from level, slightly sloping and rolling arable areas through to soft open undulating grazing country. The majority of “Munbulla” is cleared with only approximately 90 acres of timbered country. The soils are principally productive granite to basalts that are highly suited to a vast range of high performance permanent pastures. The property comprises approximately 450 acres of arable country. Recent improvements on the property have seen several paddocks ready to spray and direct drill. Previously there has been an aerial seed and fertiliser program undertaken on the property. Pasture improvements can create potential upside for the property. Separate 1 bedroom self contained cottage comprising of lounge room, laundry, bath, shower and toilet. Security of water is a major feature of "Munbulla" with the properties rainfall supported by a number of spring fed gullies. "Munbulla" receives an annual rainfall of between 32-40 inches. The mean average rainfall of 878.5 mm is measured at Guyra Post Office Bureau of Meteorology site since 1886. The monthly mean maximum and minimum are 18 degrees Celsius and 5.3 degrees Celsius measured at the Guyra Post Office Bureau of Meteorology site since 1911. 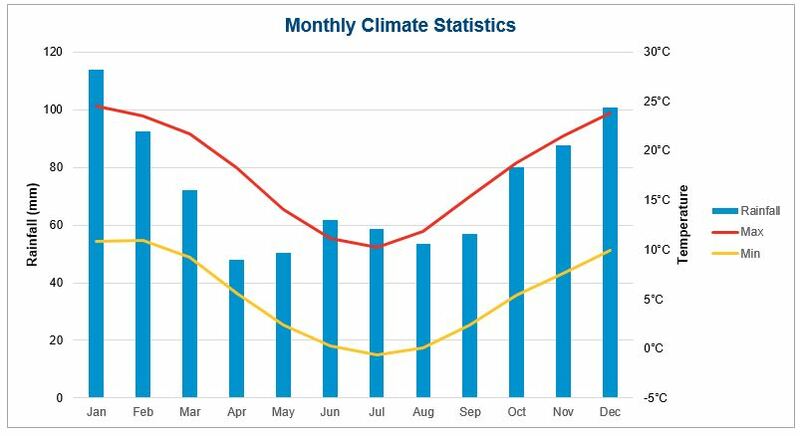 See below a graph of the mean climate statistics measure at Guyra, NSW. The water is consistent throughout the property with security of water is a major feature of "Munbulla". The properties rainfall is supported by a number of spring fed gullies. There are 12 dams located across the property and a permanent spring near house. The largest main dam comprises of a cement spillway. A 26,000 gallon water tank provides substantial house water supply. This premiere property is for sale via Private Treaty. For further information or any queries about the sale process please contact Jim Guilfoyle, Colliers International or John Croake, Australian Wool Network. The opinions, estimates and information given herein or otherwise in relation hereto are made by Colliers International and affiliated companies in their best judgement, in good faith and as far as possible based on data or sources which are believed to be reliable. The material contained herein is not intended to substitute for obtaining individual advice from Colliers International or another adviser able to provide the services of a qualified professional person. 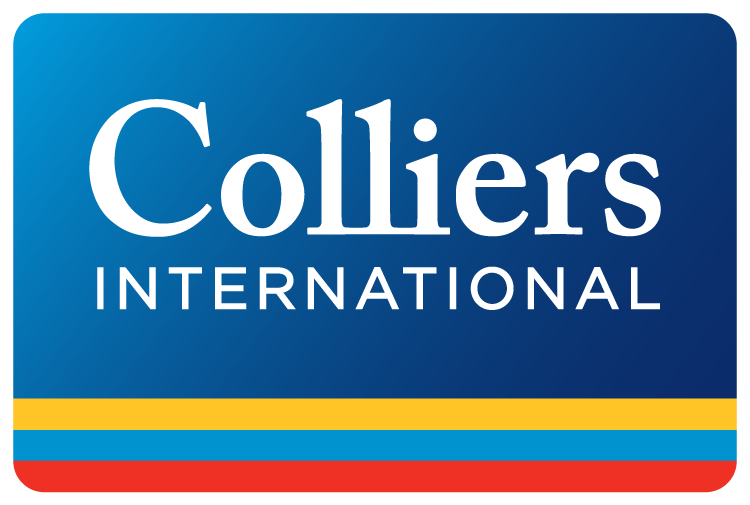 Colliers International, its officers, employees and agents expressly disclaim any liability and responsibility to any person whether a reader of this publication or not in respect of anything and of the consequences of anything done or omitted to be done by any such person in reliance whether wholly or partially upon the whole or any part of the contents of this publication. COPYRIGHT Colliers International. All rights reserved. No part of this work may be reproduced or copied in any form or by any means (graphic, electronic or mechanical, including photocopying, recording, recording taping, or information retrieval systems) without the written permission of Colliers International.